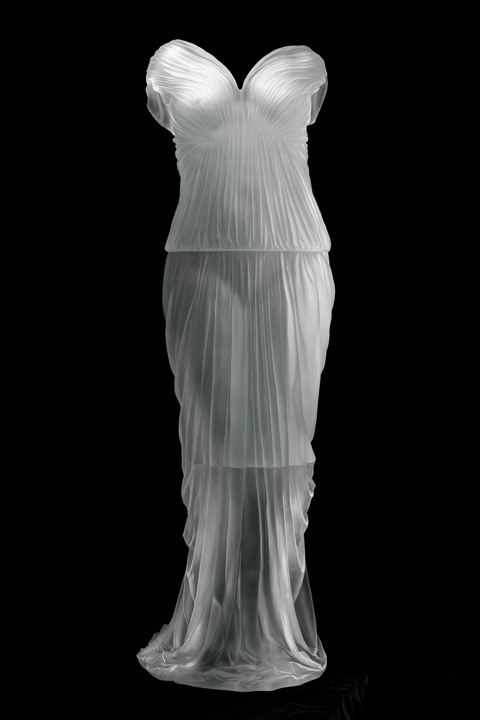 Anna Boothe trained as a sculptor at the Rhode Island School of Design, where she first began working with glass in 1980. 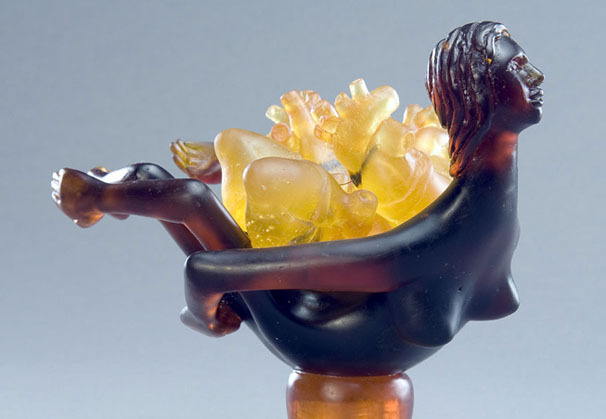 Her kiln-cast work is in the collection of the Corning Museum of Glass and in numerous private collections. 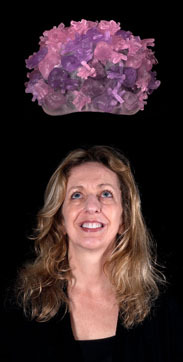 Anna’s conceptually-driven sculpture are represented by The Bender Gallery in Asheville, North Carolina. 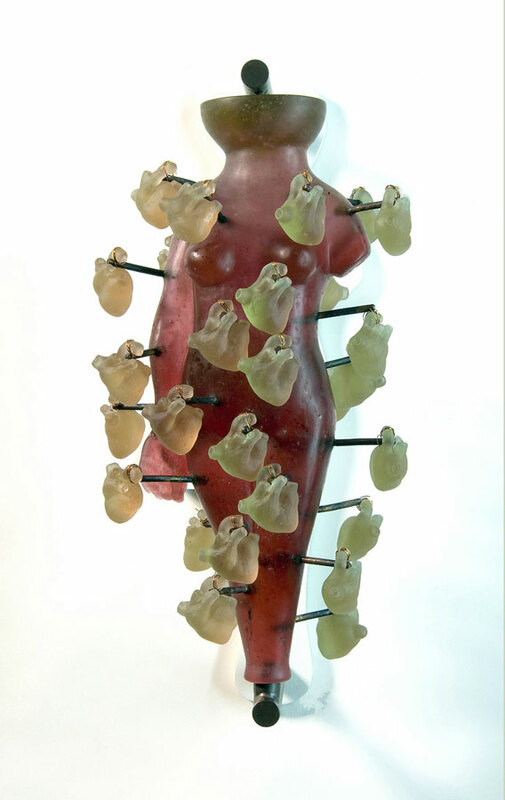 That which deals with human visceral response, compassion, vulnerability and the metaphors that can be woven from these elements, are the conceptual grist for the work I have made over the last several years. As individuals, what kind of veneers do we create, and why? What are the messages we project? Where do the perspectives that drive our responses originate and how can we steer them? What tools do we use to interpret the projections of others? Basically, I am curious about the relationships between our internal reactions and external projections, and ultimately, how we communicate with each other on conscious and subconscious levels. My work is an effort to reach an understanding of these inquiries. I set-out visual networks, or radii, that connect the various factors related to my investigations. The resulting pieces are meant to be icons, pseudo-mirrors, or even prosthetics, that aid in self-comprehension. 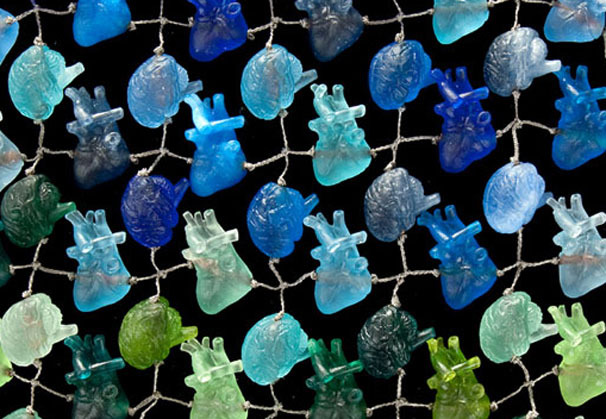 The multi-part objects I create provide objectivity to issues or feelings that are often difficult to articulate. 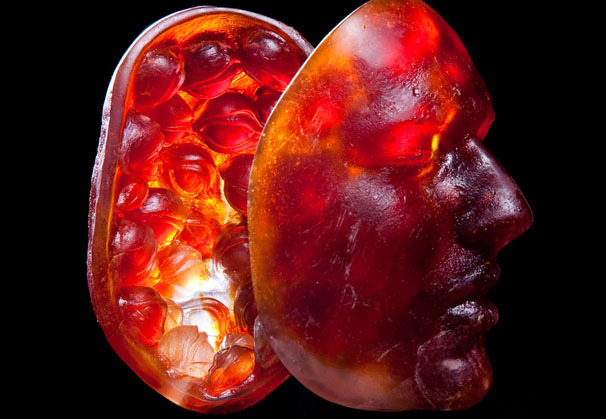 Many of the works employ body parts as symbols. In “Brain Child” and “Thinking Cap,” hearts and brains refer to the tandem, yet often polarized, sources from which our reactions come. In each helmet form, hearts are attached to the outside of the brain-like base and appear as a bevy of antennae or small portals. “When I Speak My Mind,” is an earlier version of this concept. “Namaste” incorporates eyes within the heads/behind the faces of my husband and teenage son to comment on how people’s feelings and actions often do not comport. In effect, what we internally “see” or feel about each other relative to how we actually communicate, may differ. “Sure-Footing” and “Gridlock” are a rug and doormat, respectively. 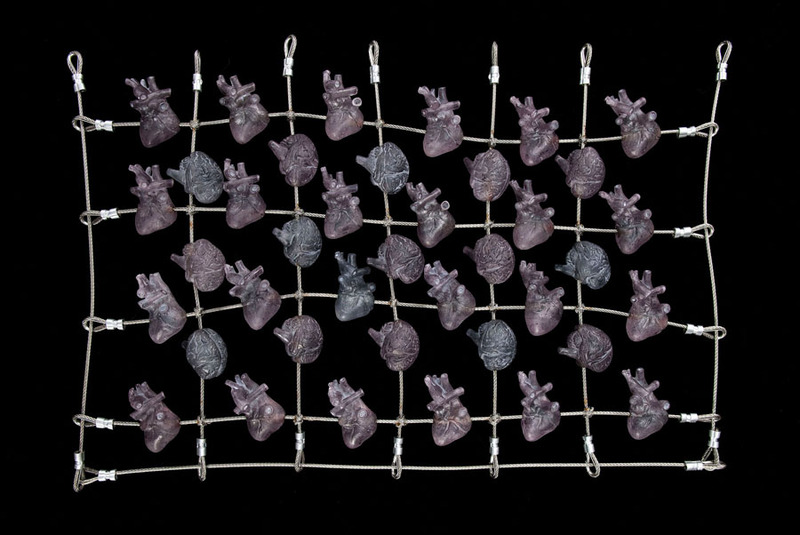 They are the first pieces in a current series of work that addresses what we walk on. In other words, I am thinking figuratively about what supports us as we meander through the world, interact with others and face a variety of situations, positive and negative. What keeps us strong? How do we replenish the reserve that fuels our ability to move ahead? How do we maintain balance on an uneven, unpredicatable surface? Earlier works including “What Holds You Up,” “Sink, Swim, Jockey, Juggle and Rock,” and “Nature Nurture” also fall into this category of thought. “Golden Parachute” was made at the beginning of the current recession (US) when many bankers were receiving huge monetary send-off packages. 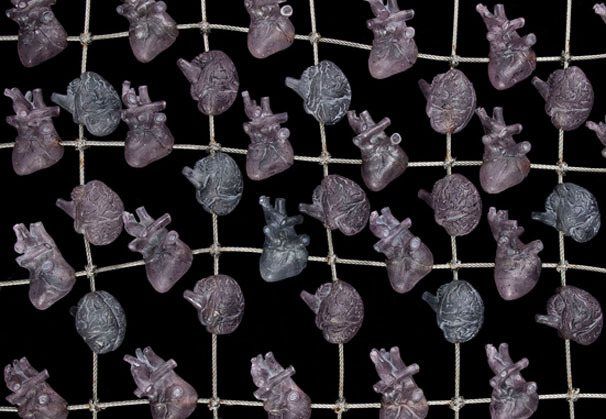 The multi-armed figure, with hearts strung together and cradled within her back, posits another type of safety net. 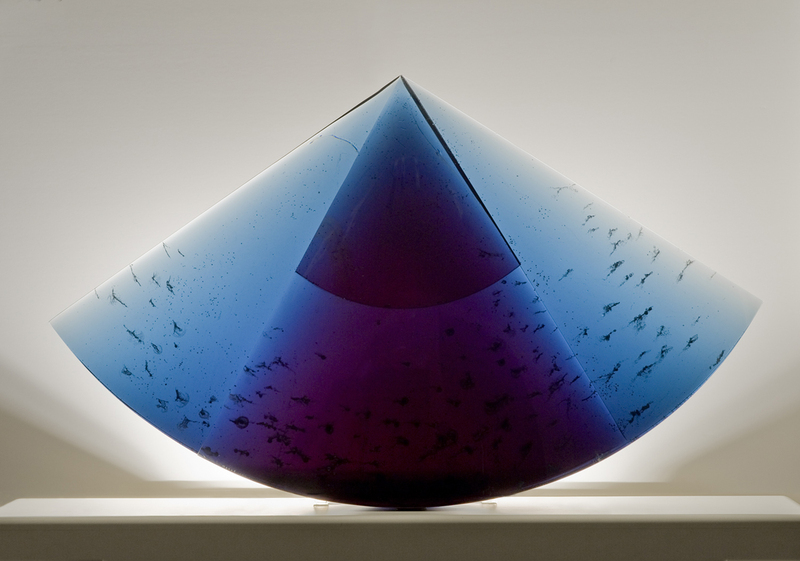 Glass, as a material, is appropriate for what I seek to express because it is capable of conveying the simultaneous strength and fragility, as well as the translucency, or degree of visibility, of these associations. I’m 30 years into my love affair with this elusive stuff and there is so much more to explore. 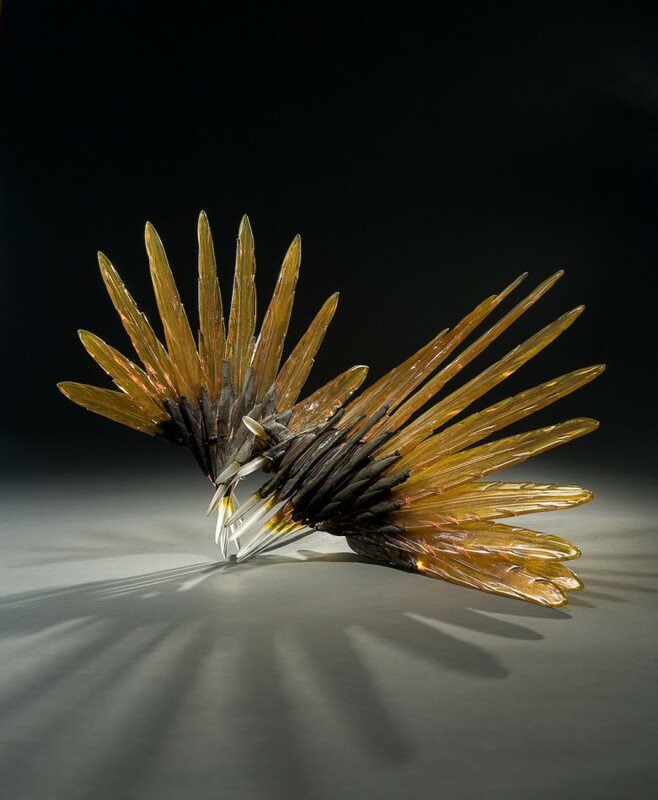 With a BFA in Sculpture from the Rhode Island School of Design, Anna continued her educaton in glass and received her MFA from the Tyler School of Art in 1988, where she subsequently became a member of the Glass Program faculty and taught for a total of 16 years. 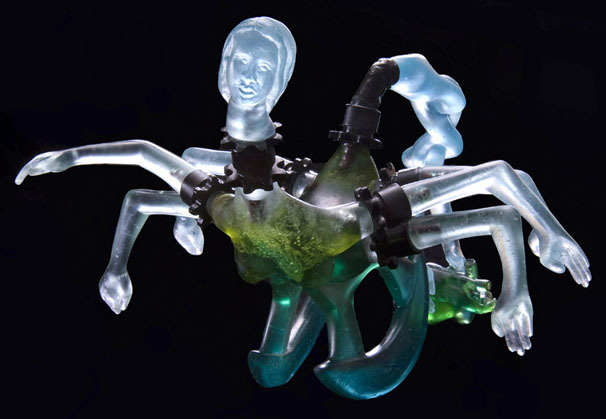 From 2003-2007, she coordinated and helped to institute the Glass Art Degree Program at Salem Community College in southern New Jersey, a program whose curriculum focused studies on kiln-forming, kiln-casting, and flameworking. While there, she chaired the school’s annual International Flameworking Conference. 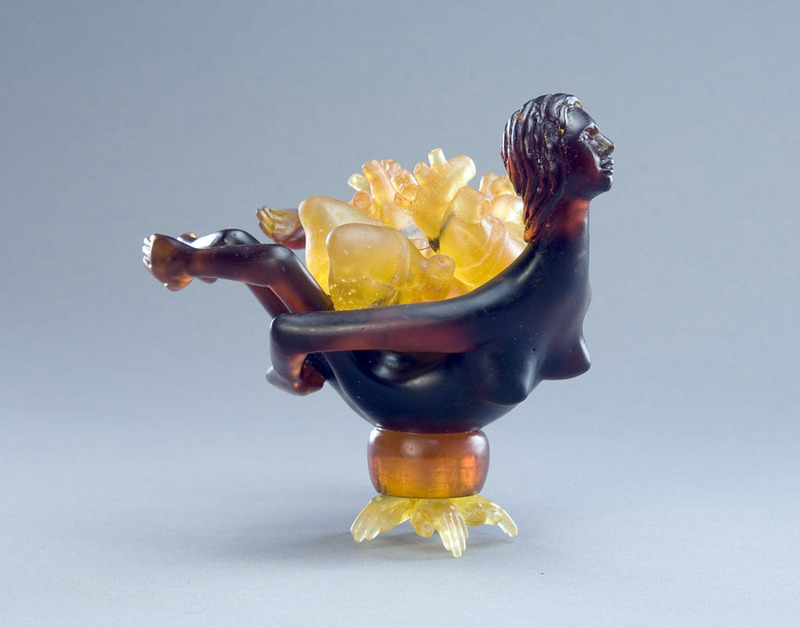 From 1998-2006, she served on the Glass Art Society’s Board of Directors and was President of the organization from 2004-2006. 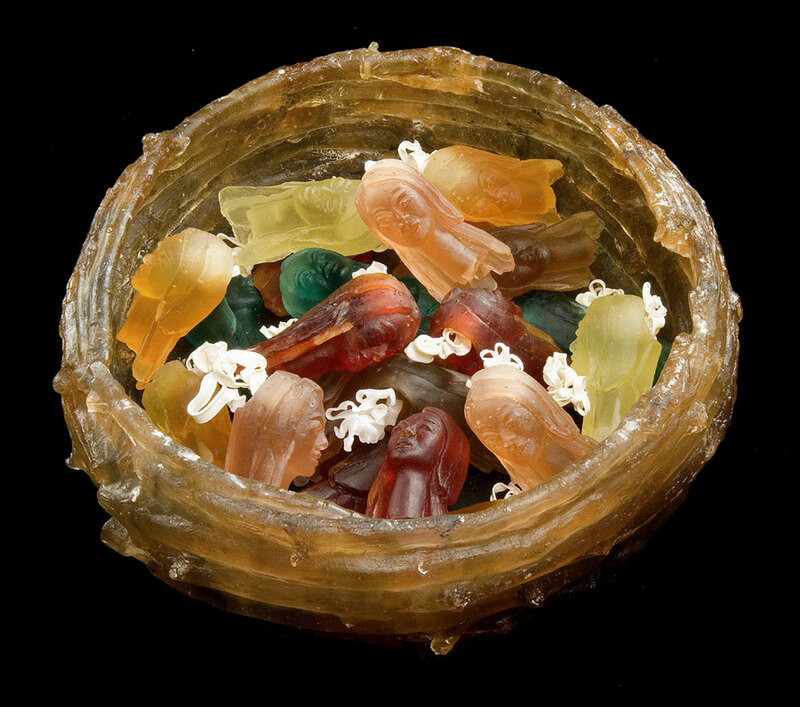 Anna’s kiln-cast and pate de verre work is exhibited regularly and represented in museum and private collections. In recent years, she has participated in the Particle Theories and Celebrating Connections exhibits at the Museum of American Glass in Millville, NJ, Figures and Forms at Leo Kaplan Modern in New York City, World Glass Today at the Aptos Cruz Gallery in Adelaide, Australia and the Bullseye Gallery’s 20/20 exhibit in Portland, OR that showcased artists whose work had been published in New Glass Review multiple times within a twenty year period. 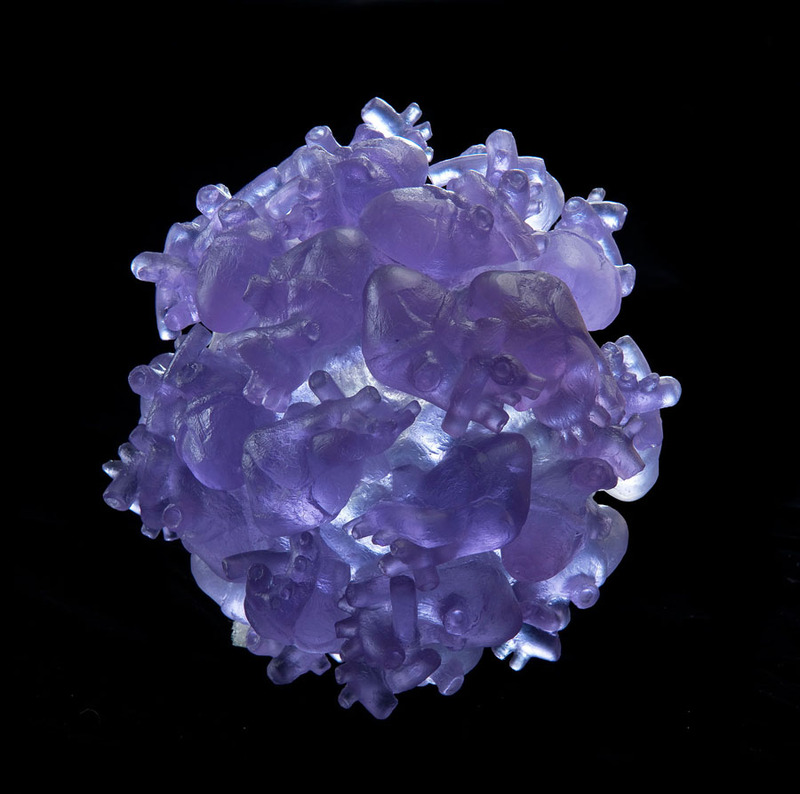 Anna travels frequently to lecture and teach workshops on frit and pate de verre casting at numerous facilities, a few that include the Studio of the Corning Museum of Glass, Urban Glass, the Pittsburgh Glass Center, Pilchuck Glass School, many university settings, and at glass schools in Belgium, Switzerland, Turkey, and Japan. In the past number of years, she has lectured at the Rochester Institute of Technology, Virginia Commonwealth University, the University of Wisconsin in Madison, Illinois State University, Illinois-Wesleyan University, Sheridan College in Toronto and the Everhart Museum in Scranton, PA. 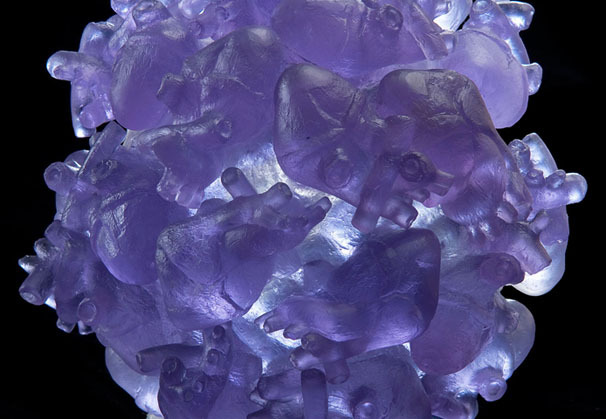 Recently, Anna was awarded a Corning Museum of Glass Collaborative Artist Residency and will be working with New York area sculptor Nancy Cohen at the Studio in the fall of 2012.Before settling into a teaching career, Anna supported herself as a professional pastry chef and later as a specialty cake sculptor and illustrator. 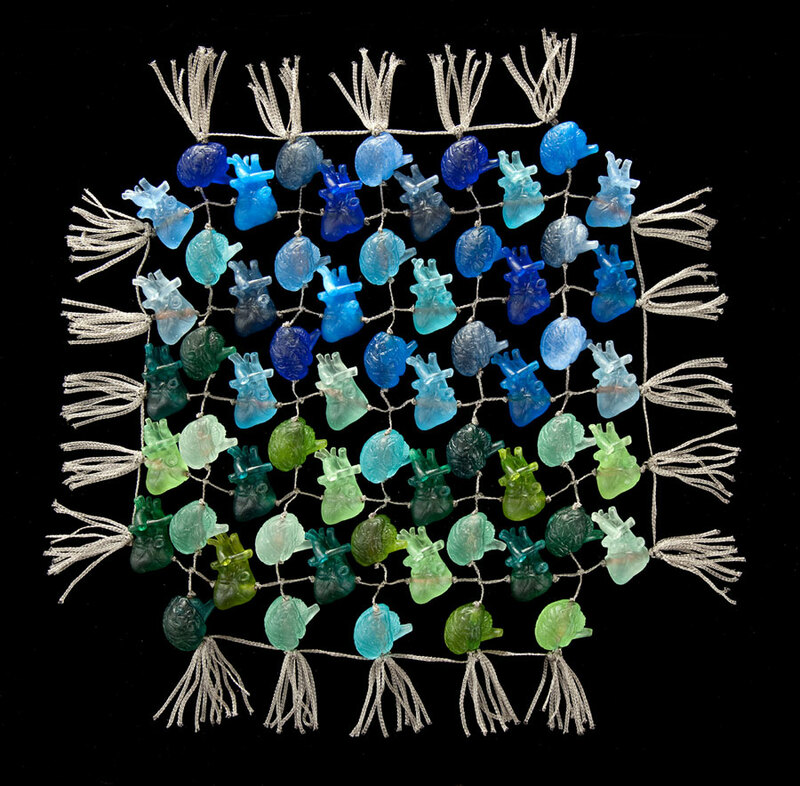 These professions, coupled with the influences of her family, many of whom were accomplished woodworkers, needleworkers and painters, plus the impressions made by her father who studied ancient Egyptian history have been responsible for Anna’s strong respect for skilled-making and the importance of art within context. 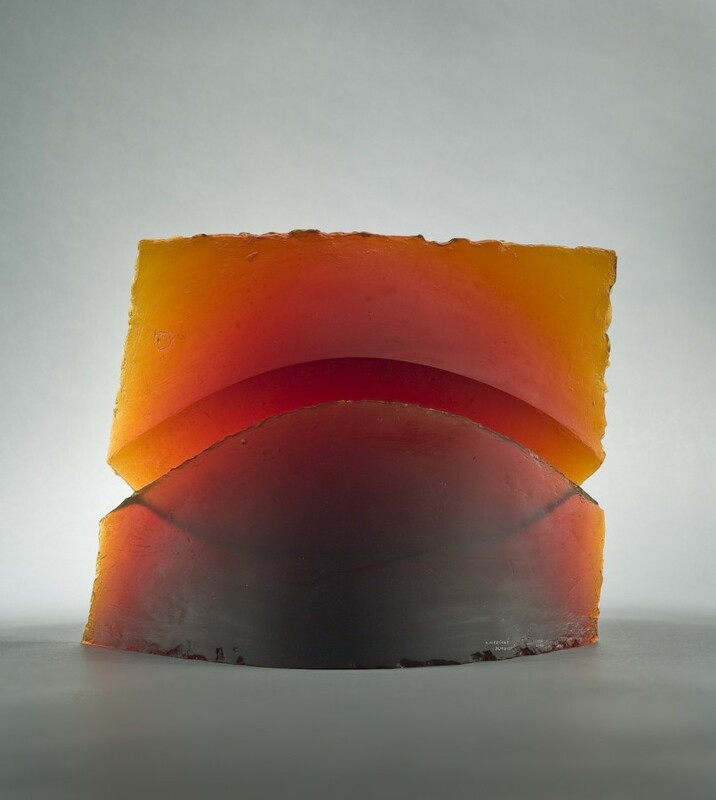 She traded her RISD passion for making large-scale bread sculptures for casting glass in a kiln, and refers to it as permanent baking, not without its own occasional bouts with impermanence. 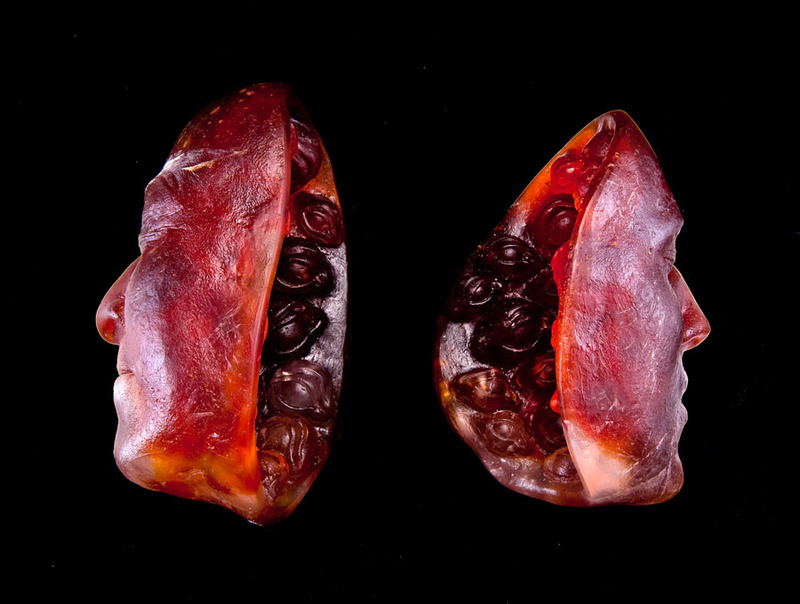 Currently, Anna’s studio practice combines the making of several bodies of work. 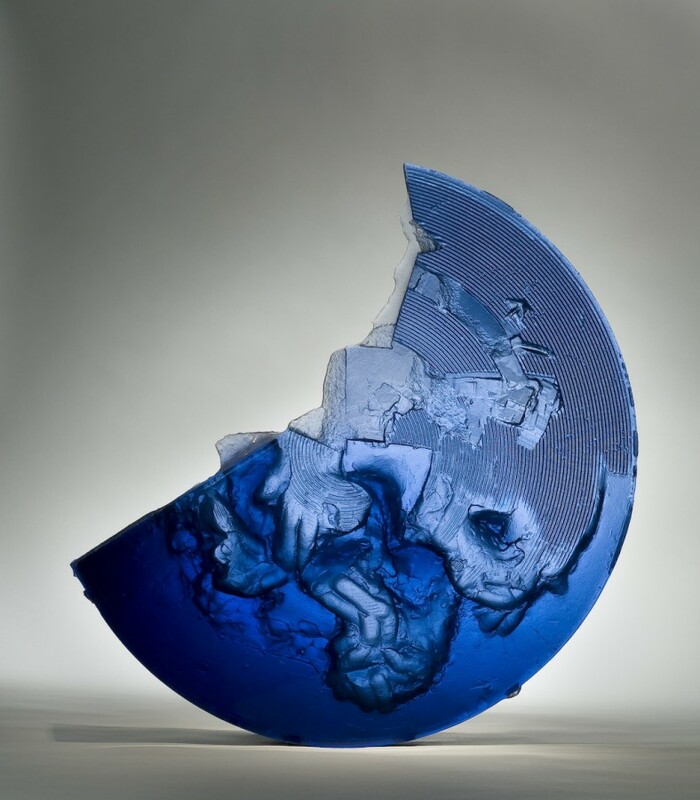 Her sculpture satisfies her need to create conceptually-driven work, and her decorative pieces allow her to explore form, color and new techniques on a smaller scale. 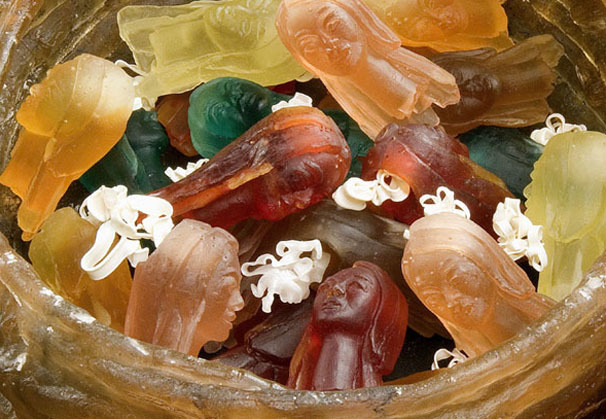 In addition, she fabricates work for non-glass artists and produces awards for a variety of organizations. Anna resides outside of Philadelphia, where she, her husband and son grow much of their own food and will be renovating their 1867 Victorian home, seemingly forever. We are grateful to The Bender Gallery of Asheville, North Carolina, for providing the materials for the Artist of the Month.